All businesses (small and large) have the same objective. Profitability. Take for example this week – local business Vail Honeywagon vs. Vail Resorts. What is Honeywagon doing as compared to Vail Resorts – to assure their future Profitability – when faced with all these proposed New Taxes on your Ballot? (Side Note) Did you get at 14% pay raise at work this past year? 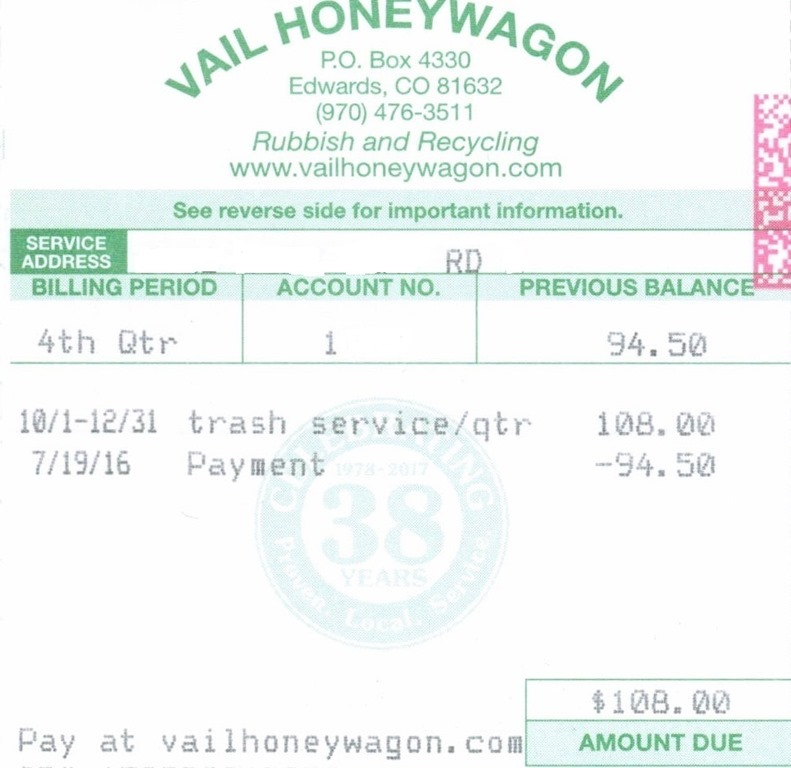 ECT also learned this week…that former Vail Honeywagon competitors (MRI and Mountain Waste and Recycling) are now all the same company – Vail Honeywagon. (Click Here) Now scroll down to learn what Vail Resorts has done to protect their Profitability. For their part – Vail Resorts learned what the rest of us learned in May 2016. Last May Eagle County Voters – voted to support the proposed (2) Tax Increases for the Fire District and Ambulance District – thereby increasing the cost of running Vail Mountain and Beaver Creek. So what did VR do? Answer: They passed on their increase costs – by (now) charging $10.00/per day/per car for (formerly FREE) Skier Parking at Beaver Creek. That’s what. Looking Ahead? You might want to ask yourself – what the future cost of Skiing at Vail and Beaver Creek might be – should the Eagle County Voters – vote to approve all these proposed Tax Increases. FACT: Our School Districts Ballot Issue(s) (3A & 3B) together constitute the single largest proposed Property Tax Increase in the history of Eagle County…Are YOUR salary increases keeping up – with your cost of living increases?